Take 2 tablets twice daily between meals. This supplement is addressed especially to students and intellectual workers or people, whose work requires exceptional creativity. The preparation may be especially helpful before a stressful situation, which requires special mind clarity, e.g. before an exam, important performance or job interview as well as in the period of intensive preparations to competitions. Dietary supplement containing omega-3. Supports the work of the heart and the immune system. Dietary supplement with Omega-3. Supports the work of the heart and circulatory system and immune system. Supplement containing magnesium creatine chelate. It facilitates the construction of muscle mass. The combination of coffee and organic extracts from pro-cognitive and adaptogenic raw materials. Glycocyamine - is a glycine derivative belonging to the guanidino compounds and the precursor of creatine synthesized intra-corporeally and affects the level of creatine during its supplementation (and after its completion). Glycocyamine is involved in the transformation, which takes place with the participation of S-adenosylmethionine, and may influence the development of unbeneficial homocysteine ​​(increasing the risk of developing atherosclerosis). To neutralize the effects of homocysteine, supplementation​​ is enriched with betaine. In the sports supplementation is available in many preparations of creatine. Proprietary blend - is a complex of bioactive ingredients in the proportions, which are covered by the manufacturer's patent. According to the law in force in Poland, the components of the blend are known, and , by the place on the packaging, you can identify which components are in bigger amount (the components are listed in the decreasing order of amounts). Proprietary blends are used in many food supplements, such as creatine stacks, no-boosters, fat burners and pro-testosterone supplements, improving libido. Gotu kola (Centella asiatica) - Asiatic pennywort, a rich source of active substances: alkaloids, phytosterols, glycosides, coumarins, asjatic acid and triterpenoid saponins. With the adaptability potential it is used not only in sports supplementation, but also among affected with stress and depression. Included in the supplements improving cognitive properties (supporting the process of learning, association and memorization), stimulanting to action (useful in combat sports and sports that require quick orientation). In addition to the beneficial effects on the nervous system, it has antioxidant diuretic properties. 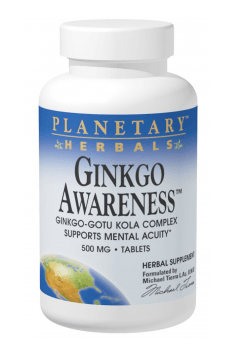 Gotu kola, addition to supplements improving cognitive properties, is also available in the form of pre-workout creatine stacks and nitrogen boosters. Dosage: 5 mg per day.